Bristol Swifts blog of activity and observations of the swift colony around our house in Bristol in 2015. For details of location of each box see Swift nest box location on our house. There is a new page for Bristol Swifts Blog 2016. Following the Autumnwatch feature we’ve had over 4000 hits on this website, mostly on nest box design which is fantastic. We’ve also had lots of email inquiries asking for advice. We’re so pleased that our “swift” appearance on Autumnwatch has generated so much interest. We would love to see your photographs of swift nest boxes, especially if you’ve built one using any of our designs. 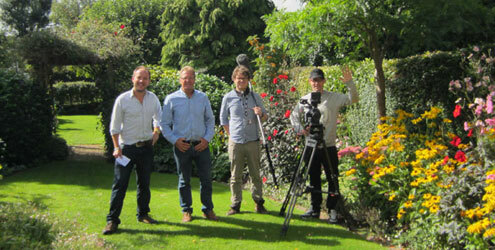 BBC crew interviewed and filmed us for Autumnwatch which is due on air sometime in November 2015. For more details see Our Swifts on BBC Autumnwatch page. Bristol Swift Survey 2015 results. Results are now in and full details can be found on Bristol Swift Colonies page. Firstly we would like to thank everyone who took part in our survey. Recording screaming parties was a fun thing to do, but we found the information gained from it was of limited value. It showed swifts are present over most of Bristol, but it was unreliable as a means of recording their actual numbers. As surveys were returned it became obvious that the same birds were being recorded by different individuals giving a false picture of their true numbers. I have spoken to the RSPB who record screaming parties numbers across the UK and they confirmed the same problem with the information they receive. They only use their data to show swifts are present in a particular location rather than a means of recording their actual numbers. They agreed that trying to count the breeding population in the UK is almost impossible. The best they can do is to get a feel of where swifts are living. They then monitor locations on a yearly basis to see if swifts are still present or not and from this information they then can draw a reasonable assumption as to whether their numbers are increasing or decreasing. The British Trust for Ornithology estimate that since 1995 their numbers have fallen across the UK by 38% putting them on the Amber List for bird species causing concern. In summary the poor weather meant too few results were reported from the same location in May/June and then in late July for us to be able draw any firm conclusions on the success of this years breeding season in Bristol. However based solely on our own colony we had the same number of breeding pairs (7) as 2014. The main difference was that fewer non-breeders returned than compared to previous years and due to the lack of screaming parties this gave the impression that their overall numbers were down. This was reported not only in Bristol, but right across the country and into Northern Europe too. As our swifts are now on their way back to Africa we will no longer be updating this swift blog every day. However when we know when we’re going to appear on BBC Autumnwatch we will add the dates to our website, which should be sometime in early November. The blog will be up and running again next April when the swifts return. If in the meantime anyone decides to make any of our swift boxes we would love to see photos of them in situ, and finally if you have any questions please Contact us. Our swifts have all gone. The final chick from nest box 1 (north) fledged during the morning and immediately began its journey to Africa. The two adults returned to find it missing, stayed for a short time before leaving for Africa themselves. My twin box design is very successful, but unfortunately it’s quite heavy to handle especially when your trying to fix it under the eaves perched on top of a ladder. To get over this problem I decided to make a single compartment version based on the twin box dimensions. A single sheet of 12mm hardwood plywood 1220mm x 606mm costing about £10 makes one box as shown below. It’s so much lighter and easier to handle than the twin box, but retains all its good points so I’m confident it will be just as successful. Dimensions and details can be found on our Swift Nest Box Design page. The first chick fledged from nest box 1 (north) yesterday. However what was more surprising was that the missing adult returned last night. I’ve just checked the box and all three are snuggled up together waiting for the rain to stop. I was mistaken about the chick fledging from nest box 1 (north). When I checked yesterday morning I could see only three swifts in the box. I assumed one of the chicks had gone. In fact it was one of the adults that has departed instead. It is quite normal for one of the adults (male?) to leave a few days before the chicks fledge especially toward the end of the season. The good news is the remaining adult will stay until both chicks have gone and leave almost immediately, probably the following day. The first chick from nest box 1 (north) has gone. It fledged sometime before 8am this morning. I think it probably followed one of the adults out first thing. The remaining chick has been keeping itself busy by doing a lot of wing stretching and flapping, however it looks rather lonely now it’s on its own. The pair under the roof tiles have gone. Not sure when the chicks fledged but I expect sometime over the weekend. Only the pair in nest box 1 (north) together with their two chicks now remaining. Only four adults left now, two in nest box 1 (north) and two under the roof tiles. Both are still bringing back food for their young but the frequency in-between feeds has got much longer. A sure sign that fledging is imminent. The remaining swift in nest box 2 (north) left yesterday afternoon. Down to only five swifts now. One of the swifts from nest box 2 (north) left yesterday. The chicks in nest box 1 (north) are still here but spending most of their time looking out of the entrance hole, a sure sign that it won’t be long before they go. Most of our swifts in the South West have already gone except for a few late stragglers. However in contrast a contact of mine living in Ampleforth, Yorkshire reported that he still has plenty. For the last few days large groups of swifts have been screaming around his house and investigating his boxes, lucky old him! Two more swifts have gone. One from nest box 5 (south) and the other from nest box 3 (north). Only 6 adults left, the two pairs with chicks and strangely the pair in nest box 2 (north) whose chicks fledged way back on the 15th July, they are both still here. The two chicks in nest box 1 (north) are now 38 & 39 days old, looking at them this morning they look ready to leave. Normally it takes around 42-43 days to fledge, however their parents have been particularly good at bringing food back, so I expect they might go a little earlier than normal. We’ve still got 8 adults with us and as the afternoon warmed up they’ve been staying a bit closer to the house. They are not screaming anymore, just feeding. I expect the two sets of remaining chicks to fledge sometime over the weekend. On a different note, as the swift season draws to an end I’ve installed four house martin nest cups. The two in the middle are from the RSPB and the other two are home made. I’ve been playing a house martin attraction CD and had up to half a dozen flying up to the nest cups this afternoon, fingers crossed I might even tempt one in. We didn’t lose anymore swifts overnight. We still had 8 adults this morning, although they have been extremely quiet. I’ve hardly seen or heard them at all – it wouldn’t surprise me to find some more missing tonight. Back on June 25th I reported that one of my contacts had some success using the Dutch mp3 swift calls. I decided to try a selection of the different tracks to see how effective they were against my London Swift CD. I made a couple of new CD’s – one containing only track 1, the other a mixture of tracks which included 1, 14, 14a, 15 & 15a. I played them all on a rolling rota, one hour at a time. I had a good responses from both the London Swift CD and the CD with only track 1 on, both attracted swifts. However the compilation CD containing tracks 1, 14, 14a 15, & 15a performed poorly by comparison and by mid-July I had stopped using it. Another 4 swifts left yesterday. One from each of the following nest boxes; 3 (north), 5 (north), 5 (west) & 5 (south). Only 8 adults and 2 chicks in nest box 1(north) and possibly another 2 or 3 chicks under the roof tiles still here. The strange thing is that even though they keep the same mates year after year they don’t migrate together. Both partners from nest boxes 5 (south) and 3 (north) left yesterday leaving their other halves behind. They won’t see each other again until next April when they return to their respective boxes. Another swift has gone. One of the adults from nest box 5 (north) failed to return last night to its box. Although there are still 12 adults around, their screaming antics have virtually stopped. They’re spending all their time feeding now, concentrating on building up their fat reserves before they go. The single chick finally fledged from nest box 3 (north) sometime yesterday. Both adults came back to the nest with full food pouches (bolus) and were a bit confused looking for the missing youngster. They even tried to feed one another in vain. after a while they both swallowed their bolus’s and settled down. Another adult has begun its migration, the single swift in from nest box 1 (south) has gone, so that’s 2 out of 15 on their way to Africa. Here is a bit of shaky film I took yesterday of our swifts screaming around the house. To my surprise the single chick in nest box 1 (south) is still here. I checked the camera all day yesterday, admittedly it’s only focused on the nest area and I didn’t see it once. When I checked the camera around 10pm last night there it was sat back on the nest. I can only assume it spent the day looking out of the entrance hole. The first adult has gone, one of the non-breeders in nest box 5 (west) failed to return last night. I think the others will start to drift away in the next few days. The single chick in nest box 1 (south) has fledged. Last night was one of the best for screaming activity with up to a dozen or more whizzing around the house for a good couple of hours. This activity has continued again this morning. I’m going to try and video some of it if I can. Only two pairs with chicks now, nest box 1 (north) and the roof tile nest. Both due to fledge around the middle of August. Last night I saw the first large group of swifts (50 plus) heading south-west. I think the first wave of migration might be underway. Both chicks have fledged from nest box 3 (north). That leaves one chick in nest box 1 (south) due to go sometime this week and two chicks in nest box 1 (north) due to leave around 10th August. There are also the chicks under the roof tiles which I think are due to fledge around the middle of August. I have no way of knowing for sure. If I stand directly underneath the nest I can hear the chicks each time the adult returns, so it will be a case of watching and listening to confirm their departure. Even though all the adults are still here I have not seen any screaming parties since Saturday, however a ridge of high pressure is building over the next few days so there might be a chance of them putting on one final display. The third and final chick from nest box 5 (south) fledged sometime between 7.30 – 8am this morning. That leaves only 5 chicks remaining in my boxes plus another 2 or possibly 3 from under the roof tiles. Even though their chicks have gone both sets of adults from nest box 2 & nest box 5 (north) continue to roost in their respective boxes at night. Take a look at some of the stunning photos taken of our swifts on Saturday by our friend Matt Collis that have been added to the bottom of Our Swift Photos & Videos page. Three chicks fledged today, one from nest box 3 (north) and two from nest box 5 (north). Things seem to be moving fast a quick update of remaining swifts in the colony is as follows; nest box 1 (south) 1 adult & 1 chick – 1 adult predated, 2 chicks rehoused, nest box 5 (south) 2 adults & 1 chick – 2 chicks fledged, nest box 5 (west) 2 non-breeders, nest box 1 (north) 2 adults & 2 chicks, nest box 2 (north) 2 adults – 2 chicks fledged, nest box 3 (north) 2 adults & 2 chicks – 1 chick fledged, nest box 5 (north) 2 adults –2 chicks fledged, 1 chick died, and finally under the roof tiles 2 adults plus 2 or 3 chicks. Despite the wet start the second chick from nest box 5 (south) fledged sometime before 8am. It was tipping down with rain, so I guess it followed one of the adults out. Poor thing what an introduction to life outside the box. On the plus side conditions can’t get any worse than they already are. A bad start to the morning. I found a dead chick on the ground. It was the chick I placed in nest box 5 (north) back on the 12th July. I thought it was doing OK but it must to have tried to fledge early and it just wasn’t strong enough. On a more positive note the other two chicks from nest box 1 (south) are doing well. That’s the one I left in there to be raised by the single parent and the other one that I moved into nest box 3 (north), both look really healthy. We’ve had a busy day with two BBC cameramen and also two photographers taking photos of swifts. It felt more like October than July, rained all day with a maximum temperature of only 15C. Only one or two adults ventured out but returned almost immediately, empty mouthed.The consequence of this appalling weather was that none of the 12 chicks were fed. We’ve just attended a meeting at Bristol Zoo with representatives from the RSPB, Avon Wildlife Trust and Bristol City Council to discuss the preliminary results from our Bristol Swifts survey and to agree on what should be done next. External boxes are very important and play a vital role in providing extra nest sites for swifts but are highly dependent on the current owner/occupier to maintain. Internal nest sites built into new developments seem to be the best way forward as they will provide a long term solution to the lack of nesting places with the added bonus of zero maintenance. A seminar at the Zoo has been penciled in for early November to talk about how best to proceed. We’re hoping that the guest list will include; The Mayor of Bristol George Ferguson, Kerry McCarthy MP (Swift Champion), local planners, developers, architects and the like. A massive task and we’re not sure who will attend but if we don’t try to do something, nothing will ever get done. Whilst we were at the Zoo we also had a look at the swift boxes they installed last year. They are still waiting for their first swift but I’m sure it won’t be long before one takes up residency. Something has changed I can feel it. Their stay with us is coming to an end and their behaviour has began to alter. It’s difficult to describe, but it looks to me as if they know their time is up here and they must move on, Africa is calling. They’re still flying around the house but their display has lost the intensity of a few weeks ago, they’re only going through the motions now. Another breezy day and subsequently swift action much less than the last few days. However it did brighten up briefly in the afternoon and I watched a new swift enter nest box 3 (west) and stay for a few minutes before leaving. Unfortunately it didn’t come back to roost there overnight but at least it’s a start. I was playing the Dutch CD track 1 when it entered. A muggy, drizzly sort of day but despite this still plenty of action right up until 9pm. I think the non-breeders must be visiting all the other local colonies as well as mine, as they don’t spend the whole day here but return every 30 minutes or so. I’m still playing a selection of swift CD’s and found that the London swift CD and the Dutch swift CD track 1 get the best response. I tend to alternate between the two every hour to give them something different to listen to. Although I’ve had lots swifts banging and landing momentarily on the landing strip I’ve not seen any go right inside yet, however still a few weeks to tempt them before they go. Another good day with plenty of action. The non-breeders are back in force again and doing the rounds. I’ve been trying to film the screaming parties but they are so quick, however I just about managed to capture one. The non-breeders are back and “banging” on all our boxes. Poor old nest box 3 (north) is singled out for special attention again! The non-breeders have finally arrived at last! At least 8 or 9 newcomers have been prospecting around the boxes, flying up and banging their wings against the entrance holes to see if they are occupied. They have been most active on the north side with nest boxes 3 & 5 coming in for special attention. Another very busy day with plenty of activity. The two adults from nest box 2 (north) now relieved of their feeding duties have joined up with our three resident newcomers. This group of five now spend most of the day investigating the occupied boxes, especially nest box 5 (south) where the three chicks are almost ready to go. We have had Nigel, the BBC cameraman here most of the day as he’s been fixing an external camera to nest box 5 (south). He has rigged it with motion sensors to capture the moment the chicks fledge, which should be sometime next week. Both chicks have fledged from nest box 2 (north). I’m not sure what time they went but there has been lots of activity all day long, in fact it’s probably been the best day so far. At 8.30pm at least 30 swifts gathered over the house, screaming and circling. This frenzied activity went on for some time. I’m sure that the two newly fledged chicks were the reason for all this mayhem. It looked like a sort of “welcome to our colony” ritual which involved all the swifts from the neighbourhood. Perhaps it’s how they get to know where they were born, a way of imprinting the area in their memory before they leave. The three chicks who were separated are doing well, especially the single chick in nest box 1 (south) who seems to have doubled in size. All three chicks are doing well after my intervention on Sunday. They all seem much more alert and active which means they are all getting plenty of food. Even though the weather is dull and murky it’s still quite warm so there’s plenty of insects out and about for the adult birds to find. 8pm – a warm an muggy evening with a hint of drizzle in the air hasn’t stopped quite a good display outside. I’ll play the CD for a while to see if I can attract any newcomers. 8am – everything looks OK in the three boxes despite the wet start. Both sets of adults are still in with their chicks in nest boxes 3 & 5 (north) whereas the single parent from nest box 1 (south) is already out feeding. Despite some good prospecting on Thursday, no new birds have taken up residency in the few days we were away. All the chicks however seem to be doing OK including the three with the single parent, although they are a little less developed than some of the other chicks born at about the same time. I’m keeping a close eye on them. If the weather remains good there’s every possibility that the single parent can raise them successfully on it’s own. If however things deteriorate and it looks like they may not survive I do have the option to move one or two of them into neighbouring boxes. Youngsters placed in other nests are readily adopted by their surrogate parents, but I don’t want to do that unless it’s absolutely necessary. 7.30pm – watching the three chicks all day it became obvious they were starving and stating to suffer. It rained all morning and the single adult didn’t go out at all despite being constantly pestered by the chicks. In the afternoon the weather had improved slightly and a couple of meals were brought in but not nearly enough to make any real difference. Not only were they starving but they were also covered in crataerina, a parasitic blood sucking louse-fly. I could continue to watch them starve and see them die in the next few days or do something about it. I made the decision to intervene. I know some people will disagree with my decision as they believe nature should be left to run it’s own course. However I want to help and I believe I am doing the right thing and my conscience is clear. 8pm – I removed two of the chicks from nest box 1 (south). I left one chick behind, after removing all the crataerina from it’s body. With only one mouth to feed, the single parent will have no problem at all raising this chick on it’s own. One of the fascinating things about swifts is that they are very sociable and will readily adopt any “orphaned” youngster. Two of my other boxes (nest box’s 3 & 5 north) have broods roughly about the same age, each containing two chicks. An extra mouth in each box wouldn’t cause them any problems as two parents can easily bring up three chicks. I carefully removed all the crataerina from each youngster and placed one chick in each box. They were immediately accepted by their ‘new brothers and sisters’ and nestled together like they had been together forever. 9pm – within the hour both youngsters had received feeds from their new parents and woofed it down it was probably their first food for sometime. 10.30pm – all three boxes look normal. In nest boxes 3 & 5 (north) both sets of chicks are snuggled underneath the adults birds, making a pair of very cosy looking five-somes. The single chick has also received a good feed and has settled down with it’s lone parent for the night. Spent a few days in Devon and witnessed swifts prospecting behind a drainpipe in a house on Sidmouth seafront ten metres from the beach. There is a nest there already and these two youngsters were banging up against the entrance hole. One actually crawled up inside the section of blue guttering right next to the drainpipe. A much better day. As the morning went on and the temperature started to rise so did the swift activity. From around 10am small groups (4-6) have been screaming around the house and one or two birds have entered nest box 1 (west) for a short while. Our single parent in nest box 1 (south) has brought back at least three feeds this morning so I’m hopeful all the chicks have had something to eat today. Definitely only one swift in nest box 1 (south). Our single parent is doing its best to bring food back, but the interval between feeds is getting longer and longer and the chicks are becoming more and more restless. Last feed 9.58pm. We’re due three warm and sunny days, so hopefully that’ll help our single bird, although rain is forecast for Sunday. Another disappointing day for swift activity due to the blustery conditions. No screaming parties at all, only the adults returning with food every half hour or so. The yearlings that turned up on Sunday morning have not been since, however I’m hopeful they’ll return when the weather improves on Friday. 10.30 pm – just checked all my camera boxes to see if everything OK and found there is an adult missing from nest box 1 (south). That’s the other Springwatch box and it contains three chicks. If as I fear, the missing adult has been predated then it’s going to be very hard for the remaining bird to bring up all three chicks alone. The chicks are between 20-22 days old (normal fledging time 43 days) so they have another three weeks left to go. A single swift can feed its chicks by itself but it’s now dependent more than ever on the weather remaining warm and dry to have any chance at all. If we get a lot of wet and windy weather in the next three weeks then I fear the worst. After such a promising start yesterday activity has virtually dried up again. No sign of any yearlings today and even our three newcomers are keeping a very low profile. Overall it’s been a poor year mainly because of a distinct lack of non-breeders who help make up the numbers in my colony and generally pep up the activity around the house. I can count on one hand the number of good swift days/evenings and to think in three weeks time my first swifts will be gone. However there’s still just about enough time for a rousing finale if only the weather would settle down for the next couple of weeks – here’s hoping anyway! 7.30am – I think the yearlings may have arrived this morning. We went for our normal jog around Durdham Downs and saw 7 swifts prospecting around a nest site in Downleaze, a road adjacent to the Downs. They were prospecting around a large Victorian house, taking it in turns to fly up to and “bang” the entrance of the nest under the roof tiles on the side of the building. The sitting bird called back in response to this banging which only encouraged them to do it more. We watched them for about 10 minutes before finishing our run. When I returned home I discovered our newcomers had been joined by another 3 or 4 (yearlings?). They were prospecting around my boxes. I saw one enter nest box 1 (west) and stay inside for a short while. Still no real influx of the yearling non-breeders (third wave) yet. Mostly it’s our 3 newcomers plus another 1 or 2 tagging along. I’m alternating playing the Dutch CD with the London swift CD to see if they prefer one over the other – unfortunately they seem disinterested in both, however I will carry on despite their lack of enthusiasm. BBC cameraman Ian has been here for 12 hours today. He said he got some great slow motion film of swifts going in and out of the boxes. Unfortunately the swifts were a bit elusive on a warm, calm day and we didn’t get the screaming parties we had hoped for. What a difference a day makes, 32c yesterday and only 18c today with rain all afternoon. A much quieter day regarding swift activity, only 3 -5 in the screaming parties, where we had up to 15 whizzing around last night. I tried to film them but they were much too quick, shame because it was a really good display. I’ve had the BBC around this morning preparing to film all day tomorrow, so fingers crossed the hot weather will return and so will the swift activity. I also had a lot of interest yesterday around my new Zeist boxes with swifts flying up to, but not quite landing. So I’ve added a small landing strip underneath one of the entrance holes to see if that makes a difference. 5.30am – woken up by the first screaming party of the day. Very warm 21c already and lots of activity going on. 11am – the second egg has hatched in nest box 1 (north). That makes 14 chicks from 6 boxes (3,3,2,2, & 2). Plus there’s probably two or three more chicks under the roof tiles making the total around 16 or 17 chicks this year. What a scorcher today and it’s still 27c in the garden at 8pm. I don’t think any new swifts have arrived however this hasn’t stopped our 3 newcomers putting on a pretty good display. Their antics consisted of chasing in every returning adult, with nest boxes 1 and 5 (south) targeted for special attention. They seem to enjoy landing on the entrance strips of these two boxes, mainly to elicit a response from within before flying away and have spent most of the day annoying the birds in these two boxes. The start of the heat wave and the temperature has already risen to 25c this afternoon. This hot weather has brought a marked increase in activity with small screaming parties whizzing pass all day long. Still no sign of any marked increase in their numbers though. However I’m hoping that will change as the week goes on. 9pm – the first egg has hatched in nest box 1 (north). Lots of activity tonight with up to 8 screaming past the house. A wet and drizzly start to the day and all the adults decide to have a lie-in much to their chicks annoyance as they fidget about and constantly beg for food. No sign of the 4 non-breeders yet, however I’m hoping they might return later on if the weather brightens up. Still no eggs in nest box 5 (west). My hopes of a late clutch from them are fading fast. If nothing is laid in the next week or so, then that’s it until next year. No two days are ever the same with swift activity. Even though the weather was broadly similar to Fridays swift activity was poor. I’m sure there is a small group of non-breeders (4) who join up with my 3 newcomers to prospect around the boxes. The difficultly is trying to work out who is doing what. The only time I’m sure is when the newcomers return to nest box 5 (west) and then I know for certain that the swifts banging the boxes are new birds – trouble is this doesn’t happen very often. I’m still playing the Dutch calls when I see them around and it seems to be working as they come into investigate where the sound is emanating from. All the chicks are growing fast and their first feathers are starting to appear, however they still look pretty grotesque, but that will change soon once the feathers grow. I’m watching nest box 1 (north) closely as their eggs are due to hatch any day now. 7.30am – the 4 non-breeders that arrived yesterday afternoon are back and seem to be very interested by the new swift calls I’m playing. I had them land on several landing strips and peep inside the boxes, so things are looking good. Will keep playing the new CD for a little while to see what happens. I’ve just given it a go and almost immediately I had 4 swifts flying up to my boxes which is remarkable considering you don’t normally expect to attract swifts during the afternoons. I think I’m going to give it a proper go in the morning. Apart from that little flurry, everything is pretty quiet. Still no eggs in nest box 5 (west) although they are regularly bringing back feathers. 6pm – strangely even though it was slightly warmer today, swift activity has been less than yesterday. I didn’t hear my first screaming party until almost 11am. Just as well things were quiet as I’ve had Nigel the BBC cameraman here since 8.30am, cleaning all their camera lenses. The BBC are keen in following the story for Autumnwatch and this requires regular maintenance. However it was a bit of a palaver trying to clean them this morning especially as the adults were returning every half hour or so. After 4 hours of stop/start cleaning, just when we thought we had cracked it one of the chicks decorated the lens with a direct hit – bless it for giving us another 4 hours of hard work! 6.30am – the sound of a screaming party wakes me up. A group of at least 4 whizzing around the house on a beautiful sunny morning. The first time this year that they’ve been active this early. 7.30pm – probably the best swift day so far. Lots of screaming parties from the moment I got up at 6.30am. Our three newcomers remained close to the house all day and followed each returning adult to their respective boxes. Sometimes they would even land on the landing strip calling excitedly. The resident bird responded accordingly and the newcomers quickly left to avoid any conflict. This action happened every 30 minutes. A very good day for catching flies with one of the adults returning every half hour. Sometimes the chicks were so full from their last feed they seem completely disinterested in more food and had to be “persuaded” by the adult to eat again. Still no egg in nest box 5 (west). After a wet start the wind picked up again resulting in a poor swift day again. No screaming parties at all. However the windy afternoon made it easy for the adults to find food quickly and they returned regularly for the rest of the day with their mouths full of insects (called a bolus). All the chicks did well today and received plenty of food including the little chick in nest box 5 (south). The newcomer in nest box 5 (west) finally moved, but to my surprise no egg in the nest. It’s spending a lot of time on the nest so I think something might eventually happen. 3pm – a persistent south-westerly wind has kept activity to a minimum. It’s turning out to be a much quieter day than yesterday. No screaming parties so far and even the three newcomers have decided to spend the day somewhere else. On the plus side at least the adults can go about their business of feeding their young without being harassed by the gang of three. It seems a lack of swifts this year is not only confined to the UK. A swift colleague in Vigo in north-west Spain reports a complete absence of non-breeders there, with overall swift numbers down on previous years. They are experiencing one of the hottest and driest springs/early summer for decades. A continuous north wind has sent temperatures rocketing over 30C for days on end. They don’t usually experience prolonged temperatures like this until the end of July and this heat has subsequently kept the non-breeders away. 8.50pm – one of the newcomers in nest box 5 (west) has been sat on the nest since late afternoon which is unusual – I wonder if she’s laid her first egg? 5pm – lots of activity and screaming going on around all the nest boxes especially the ones with chicks inside. The three newcomers play a sort of game and follow the returning adults right up to the entrance holes before veering away at the last moment, screaming excitedly as they go. The small chick in nest box 5 (south) is just about holding its own. This time it just misses out on a feed as its barged out the way by one of it’s larger siblings, see video of Swift chick being fed. However it’s a fighter and got a good feed a few minutes later. 9am – I’ve managed to confirm the number of chicks in all five nests; Nest box 1 (south) 3 chicks, nest box 5 (south) 3 chicks, nest box 2 (north) 2 chicks, nest box 3 (north) 2 chicks & nest box 5 (north) 2 chicks. I was worried that the last chick to hatch in nest box 5 (south) would struggle, but it looks like I was wrong as it’s almost as big as the other two siblings. The strange shaped egg in nest box 1 (south) which I thought wouldn’t hatch has hatched. Quick update on the entire colony; 1 pair under the roof tiles (number of eggs unknown, due to hatch around the first week in July). 5 nest boxes containing chicks, 1 nest box with 2 eggs (due to hatch on July 7th) & 1 nest box with no eggs. 9.15pm – just back from three sunny days in Devon. I saw screaming parties of swifts in many places – Honiton, Beer, Branscombe, Sidmouth and Newton Poppleford. It seemed everywhere we went there were swifts in some numbers, wonderful to watch. Quick look at the nest cameras and there are now chicks in five nests. I can’t tell exactly how many at the moment as the adult birds have just returned making it difficult to see. I’m going to be busy tomorrow updating what’s gone on since I’ve been away! 9am – first chick hatched in nest box 1 (south). I can see part of a discarded egg shell next to the nest. The sitting bird is a bit fidgety as it gets used to the chick moving below. Quite a bit of activity so far, up to 6 screaming around the house. No sign of any bangers yet. 5pm – no sign of the third egg hatching in nest box 5 (south). It’s amazing how quick the other two chicks have grown in only a couple of days. I feel the third chick is really going to struggle competing for its share of food looking at the size of its two larger siblings. Lets hope the weather remains fine and both adults can bring back plenty of food for all. Not much banging going on either which is a bit odd considering the weather has been good today. Perhaps they’ll return later on tonight? The newcomers in nest box 5 (west) have been busy all day bringing back feathers. However when I look at the nest its a right mess, feathers all over the place. 8.30am – high pressure is building and the week ahead looks really warm and more importantly will be accompanied with light winds – perfect weather for the non-breeders. I have a feeling it’s going to be a busy week! I thought I caught a glimpse yesterday of a chick hatched in nest box 5 (south) which had the Springwatch camera in but was unable to confirm it 100% until just now. One of the adults returned and as they swapped positions two chicks were clearly visible. It fed them both before covering them and the one remaining egg. Some of the non-breeders I saw late last night have returned this morning to perform. At least 4 have been banging the boxes, particularly nest box 1 (south). From of this group of 4, one has just entered nest box 4 (south). The other 3 continue to buzz the boxes and annoy the sitting bird in nest box 1. 6pm – a mild,damp overcast day as kept swift activity to a bare minimum. No screaming parties at all, even our the 3 newcomers have decided to stay away. The only swifts about have been the ones taking over incubating duties from their mates or occasionally one of the adults returning to feed the chicks in nest box 2 (north). The three eggs in nest box 5 (south) are due to hatch at any moment, probably starting tomorrow. Whilst I was watching that nest I noticed at least two Crataerina crawling over the sitting bird, it made me itch just watching! Unfortunately that makes two of the seven boxes occupied this year infested by these little blood-suckers. They were probably brought here a few weeks ago by the 3 newcomers when they checked out which boxes were occupied or not. 8.45pm – a large group of swifts (6-8) flying high overhead, there not our birds as they’re all in their boxes, so it’s probably a group of non-breeders that’s just arrived. Played the CD but couldn’t draw them down. Hopefully they’ll return tomorrow. Our single swift in nest box 1 (west) failed to return tonight. Sadly Springwatch has ended and unfortunately we didn’t see as much of our swifts as we had hoped. However they BBC may continue filming to feature in their Autumnwatch programme – fingers crossed. Lots of activity again this morning with up to 9 swifts screaming around the house. Our single swift in nest box 1 (west) who’s been missing for a couple of days has returned and re-entered it’s box for a few minutes. Noon – second egg laid in nest box 1 (north). After the egg was laid both adults took it in turn to inspect the new egg before they both left to feed. 7pm – the best swift day so far. The first screaming party started around 9am this morning and has continued every 15 minutes or so right up to 5pm. They’ve just quieten down for a moment so I thought I’d update the blog, however I’m expecting a late flourish as the weather so warm this evening. The number of swifts taking part in the screaming parties ranged from 3 to 8, but most of the time it was around 4. I’m sure our new pair in nest box 5 (west) were involved as their box was regularly visited, however I also noticed a single swift tagging along so I’m hoping it’s the one from nest box 1 (west) that’s returned. 4.30pm – the BBC have just informed us that our swifts will be on Thursday night now instead of tonight. First egg in nest box 1 (north). This is rather late for eggs to be laid and is entirely down to the fact that its mate has only just returned (29th May). This elongated period of egg laying is all down to this strange year which has resulted in my swifts returning in fits and starts throughout the whole of May rather than at the beginning which is normal. Still on the plus side it means I’ll have some swifts around right into the middle of August to look forward to. Swifts numbers still haven’t recovered across the UK with some of my colleagues reporting up to 50% less birds than last year. A nagging cold north-easterly reduced swift activity to almost nothing yesterday. No screaming parties at all, just the adults in nest box 2 (north) returning every now and then to feed their chicks. Even our lone newcomer in nest box 1 (west) failed to return last night because of the weather. On a more positive note a group of over 100 swifts seen gathering over Portland Bill yesterday – perhaps this is the start of the non-breeders arriving? A pleasant surprise last night, just before I went to bed I checked all the cameras and found we had a new bird in nest box 1 (west). I had seen it enter that box on Sunday when it only stayed then for a few minutes before leaving. I hadn’t seen it since until now. It will be interesting to see if (a) it attracts a mate and (b) which box it remains in, bearing in mind the other newcomers swapped boxes several times before finally settling on nest box 5 (west). Despite the poor weather our colony is still continuing to grow. Last year we had 16 birds, this year we have 17 (14 from last year and 3 newcomers) and there’s still plenty of time for more to arrive. I think I’ll keep playing the CD from a bit longer. First chick hatched in nest box 2 (north). I can see a piece of egg shell in the corner of the box. I’m not sure if both eggs have hatched as they are covered by one of the parents at the moment. Incubation period 21 days which is normal despite the below average temperatures in May. 11am – One of the parents has just returned with food, as they swapped over position on the nest I could see that the second egg had hatched in nest box 2 (north). It’s unusual for both eggs to hatch on the same day so there’s a strong possibility that one hatched yesterday and I didn’t pick it up. Our new pair in nest box 5 (west) have been nest building today, returning at regular intervals with small white feathers. There is still a small group of newcomers who turn up from time to time and buzz all the occupied boxes. Occasionally landing on the entrances of nest box 5 (north) and nest box 1 (south) only to be warned off by the sitting bird in each box. I’ve have also seen them enter one of the vacant boxes on the west side but they don’t stay long, leaving after a few minutes. After the box swapping and occasionally staying out all night our new pair finally remained together overnight in nest box 5 (west). There is the slight possibility that if they carry on roosting together they just might breed this year. The next two weeks will decide if this happens or not. I don’t often play the swift CD as much as I used to but last night at around 8.30pm a group of bangers tuned up and started to investigate the boxes. I put the CD on and immediately it drew them in closer, some landing on the entrance holes. This went on for about half and hour which was great to watch. I’m hoping they’ll return today. Confirmation that the new pair are the same ones that started off in nest box 4 (south). After spending most of the day yesterday going in and out of nest box 5 (west) I thought they had finally chosen a new box together, however when I checked the camera at 11.30pm only one was there. Its mate had decided to spend the night on the wing. A relatively quiet day with our breeding birds bringing the odd feather back from time to time. Our new pair have continued to enter nest box 5 (west), so it will be interesting to see if they finally spend a night together tonight. 7.30am – warm and sunny with light winds, already 6-8 swifts prospecting. BBC cameraman due soon, so hoping the swifts will put on a show. 4.30pm – a pretty good morning with plenty of activity. Up to 8 bangers screaming around the house upsetting the sitting birds in the process, who screamed back at them in protest for disturbing their peace. Iain, the cameraman managed to film all the action, so hopefully there’ll be some good coverage. The newcomer in nest box 5 (west) has found a mate and both have been going in and out the box all day. I’m not sure if it’s a “new bird” or it’s original partner from nest box 3 (south) who’s moved box again. I’ll check that tonight. 6.30am – a sunny start for a change and the wind has dropped considerably. I expect a lot of swift activity today after all the recent bad weather. Only 1 newcomer returned last night and roosted in nest box 3 (south) again. No sign of it’s mate or any of the other new birds either, however I’m confident they’ll be back in force over the next few days. 11.30am – lots of activity with bangers this morning with between 4-6 flying up to and investigating swift boxes. Two vacant boxes were entered – nest box 3 south (again) and nest 5 west (for the first time). 9.15pm – finally confirmed the mate of the swift nesting under the roof tiles has returned. Our two newcomers seem to have switched boxes and have just entered nest box 3 (south) and nest box 5 (west) respectively. For whatever reason they seem to be quite happy to roost separately at night – very strange! Total back from last year 14 out of 16, plus another 2 newcomers = 16. Tomorrow is meant to be warm and sunny with light winds. I think it could be the best swift day of the year so far. The BBC are coming over at 8.30am to film so hopefully there will be plenty of action, fingers crossed. What a horrible day weather-wise yesterday, very wet & extremely windy. All of our swifts bar the two newcomers were back home by 6pm. Our two newcomers however, braved the elements until 7.30pm until they decided enough was enough. Strangely however they ended up in different boxes again. One went in nest box 3 (south) the other ended up in nest box 1 (west) which is quite some distance away. The only reason I can think of as to why one went into the box on the west side was that it was slightly easier to enter. The wind was so strong last night that the swifts on the south side had real difficulty in landing, all taking several attempts to get in. I was really concerned they might injure themselves, but in the end they all managed to get in safely. A different month but same old weather! However a high pressure is building from the south from Wednesday and by the end of the week the temperature should be in the low 20’s. After such a disappointing month, when this high pressure finally arrives I fully expect we’ll all see a huge increase in both swift numbers and activity – bring it on! 10am – Our new pair in nest box 4 (south) didn’t return last night, instead one of them entered nest box 3 (south) by mistake and stayed there overnight. Its mate remained out all night. This is quite common behaviour with new pairs and it can take them several weeks of coming and going before they finally settle down. One of them has been back inside nest box 4 (south) this morning and stayed for a few minutes. I’m confident that this is the box they’ll eventually choose, although they might spend the odd night next door or on the wing in the meantime. 10am – our new pair have just left nest box 4 (south). There is a good chance that it is the same swifts that first entered this box last year. The video clip shows swifts first entering this box on July 14th 2014 https://www.youtube.com/watch?v=mvHqjNNsGsM . They didn’t stay long inside then and never roosted there either, but they did visit the box daily during the last two weeks of July 2014. First night together May 30th 2015 and Swifts first entering box July 14th 2014. The non-breeders (definitely 4, possibly 6) have arrived and are causing mayhem. It all kicked off late last night (see below) at the end of a otherwise rather uneventful day. 10am – the new bird in nest box 1 (north) has now been accepted. There’s plenty of mutual preening going as the pair bond between them is re-established. Much better than the tense stand-off from last night when both birds didn’t seem to recognize one-another. It now appears it’s the missing mate who has finally returned after a 15 day absence. It seems it just took the resident bird a bit longer to realize that it was its mate who had entered the box and not an intruder. 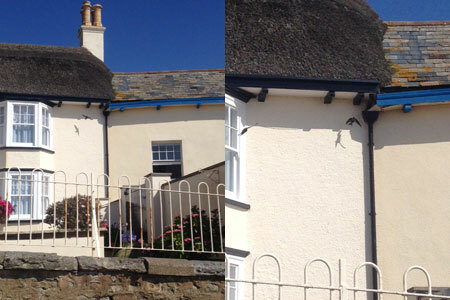 I’ve still not been able to confirm if both swifts are back under the roof tiles. So the total number of swifts that have returned from last year is definitely 13 out of 16, possibly 14. Plus now we have at least another 4 newcomers, possibly 6. 4pm – just checked the nest cameras and found two more eggs have been laid. A third one in nest box 1 (south) and a second one in nest box 3 (north). The total so far from our 5 pairs is 12 eggs (2,2,2,3 &3). 9.15pm – the mate of the newcomer in nest box 4 (south) follows its partner into the box. It’s the first time both have been in the box together. They appear a little nervous and are a few inches apart at the moment, however once they get used to their new surroundings I expect they will cuddle up together during the night. Number of swifts in colony; 13 returned out of 16 from last year, plus 2 newcomers – total 15. That makes 7 pairs in boxes, 5 with eggs and 2 without. The other two will lay eventually although their chicks won’t fledge until sometime in mid-August. Still this delay means I’ll keep some swifts for a few extra weeks which is a welcome bonus. However with a mini heatwave forecast around the middle of next week I should get the opportunity to spend a bit longer outside confirming who’s back in relative comfort. A wet and windy morning has kept all 11 swifts in their boxes until lunchtime. Now the weather has finally improved most have gone out. The only swifts in at the moment are the ones incubating eggs in nest box 1 & 5 (south) and nest box 1 (north). In nest box 5 (north) a second egg has been laid sometime this morning. I don’t think we’ll see much screaming activity today as their priority will definitely be on feeding. Watching the fight in nest box 5 (south) on Springwatch last night I now wonder if the rogue male who entered that box was also responsible for the eggs being thrown out of nest box 3 (north) a week or so ago. He needs to find a mate sooner rather than later or there’s going to be more trouble ahead! Photos of swifts during fight in Nest box 5 (south) and same swifts with 3 eggs. At 8.30pm I noticed 5 swifts circling the house. I didn’t take much notice at first as I thought is was just the resident birds returning home. However their behaviour was a bit different than normal. They kept flying up to the boxes, only to veer away at the last moment. A resident bird would just fly straight in, so I began to realise perhaps these were newcomers. Finally one of them entered nest box 1 (north). The resident bird inside immediately greeted the newcomer with a threat display. An uneasy standoff carried on for well over an hour. Both birds were very nervous of one another but at least they weren’t fighting. At 11pm they were facing one-another but from opposite ends of the box. The other 4 swifts “banged” the 3 boxes on the south side including the Springwatch box. This banging behaviour is quite common with young swifts and it is designed to avoid conflict. Newcomers trying to find their own box will fly up to and hit (bang) the entrance with their wings. If the box is occupied the resident bird will respond and the newcomer looks elsewhere. The last thing a newcomer wants is to enter an occupied box and get involved in a vicious fight. However this banging behaviour caused the sitting bird much annoyance and it responded with loud warning calls and appeared very agitated. At 9.30pm one of these newcomers finally entered the vacant box (nest box 4 south) next to the Springwatch box and settled down for the night. The other 3 carried on banging all 3 boxes but didn’t enter any and finally all 3 disappeared into the night sky. A second egg in nest box 1 (south) laid sometime between 10am and 4pm. That makes 9 eggs so far from 5 pairs ( 1,1,2,2 & 3) and I expect 2 or 3 more before they finally finish laying. Third egg laid this morning in nest box 5 (south). That’s our Springwatch box and once again the interval between eggs is unusual. Normally it’s around 1-2 days. With this pair the interval between the first and the second egg was 3 days, and now it’s gone to 4 days between second and third. It’s therefore taken 7 days from the first egg to the third. When you get staggered clutches like this there’s likely to be a large gap between eggs hatching. If the weather conditions remain unsettled then the last egg to hatch will be at a real disadvantage and unlikely to survive. Our swifts can be seen Live on BBC Springwatch Webcam (currently Webcam 4 – although it does change to other birds) The pair have two eggs and share incubation. At least one crataerina ( a parasitic louse fly which looks a bit like a miniature crab) has been seen in this nest and will feed on the swift’s blood. This does not harm the swift, but it is obviously irritating. 11.30am just checked the cameras and two eggs have been laid this morning. One in nest box 5 (north) that’s the pair that have been here since the 11th and I was only saying how late they were yesterday. Well they must have heard me! The other egg is in nest box 3 (north), that’s the pair who threw out their first 3 eggs about a week ago. I’ve been wondering why they did that and the best theory I can come up with is that the male was unsure that they were fertilized by him. I’ve witnessed a lot of aerial mating above the house so perhaps the female has been mating with other males. So the male to be on the safe side decided to get rid of the eggs? Late last night around 9.15pm I caught a glimpse through the front window of two swifts flying up towards the nest-site under the roof tiles. By the time I ran outside to check they had disappeared. Has the missing mate returned? Tonight I’ll check for certain. Perhaps things are just starting to move again on the migration front. Portland Bird Observatory have been recording for about a week large numbers of swallows and house martins returning plus a few swifts as well, so maybe my missing birds might be amongst them. Still only 12 out of 16 back and it’s looking more unlikely than ever that the other 4 will return. At the moment we have 5 pairs and 2 singles. Three of the pairs have eggs – 2, 2 &1. Perhaps the two single birds will get together and form another pair. This year is turning out to be very unusual to say the least. Not only has their migration back been slower than normal, but the time that the first egg is laid is also way out. In previous years egg laying has begun 9 -11 days after it’s mate has returned. This year one was 5 days, two 9 days and the other 10 days. Unfortunately one of the pairs who laid after 9 days promptly threw all 3 eggs out. They haven’t re-laid yet although I fully expect them to do in the next week or so.The last pair to lay have been back together for 15 days and still nothing. First egg appears in nest box 1 (south), that’s the other box being filmed by Springwatch. It was laid around lunchtime. Unfortunately it looks very unusual being long and narrow rather than a classic egg shape. Comparing it to eggs in nest box 5 (south) I’m unsure it will ever hatch. Well what a let down yesterday was. Perfect swift weather all day, the only problem no swifts – very strange. I was expecting more to arrive but only the same 11 returned to roost. Good news this morning however, at 10.30am in nest box 5 (south) our Springwatch box a second egg has been laid. Normally eggs are laid every other day but this one has taken 3 days to arrive. I think it is down to below average temperatures that we’ve been experiencing all through this month. BBC technical team have spent over 6 hours here today and have now sorted out problems with connecting the Live coverage. Good news is that we’ve just been informed that our swifts will first appear on BBC Springwatch on Wednesday 27th May (BBC2 8pm) and will be shown Live from tomorrow at Millennium Square in Bristol. 6am and up early in anticipation. I’m expecting a much better day today including a second egg in nest box 5 (south) our Springwatch box. A quiet day today despite feeling a bit warmer. Unfortunately most of the activity is inside our house as we’re still getting a few problems with the Internet speed supplying the pictures to Minsmere, still the engineers are working on it so hopefully they’ll sort it out by Monday. The new arrivals which I was half expecting didn’t return either, which is a surprise especially as a high pressure is building from the south. Perhaps they’ll turn up over the weekend? Activity around the house a bit better than Thursday with a small group of 3 hanging around for most of the day, and occasionally treating me to low level screaming flyby but apart from them not much else happening. I’ve got high hopes for Saturday as the forecast is sunny and warm with light winds-perfect swift weather. 7am and sunny. We have a cameraman (Iain) coming at 9am to film the swifts outside for BBC Springwatch. I’m hoping our birds will put on a bit of a show for him! Now that the weather is finally warming up and bringing with it the possibility of a few more birds returning, it reminds me of a wonderful poem by Ted Hughes about swifts. Here’s a few lines which sums up their arrival perfectly. Here we go again, it’s 9am and a third egg has just been thrown out of nest box 3 (north). Sometimes swifts will reject their eggs if the weather is poor, but I don’t think this is the case as the swift in nest box 2 (north) has been sitting on her eggs for a few days now without any problem. I think there is something odd about the swifts in nest box 3 which I can’t explain. 12.30pm Iain the cameraman has just left and our swifts were a bit of a let-down. The swifts in nest box 5( south) who will feature on Springwatch refused to go out and sat stubbornly on their nest all morning. As soon as Iain had gone they laid their first egg and departed. As for screaming parties, hardly anything either despite being sunny, again 30 minutes after he had gone 9 put on a superb display! Sad news, 12.30pm just found an egg smashed under nest box 3 (north). I’m not sure why they’ve rejected it possibly because it may have been cracked. At the moment both birds are in the nest box, so I’m not sure what’s happened to the second egg. Unfortunately this pair have a habit of ejecting eggs, last year the threw out their first 3 eggs before finally settling down to raise 2 chicks. Just returned home at 4.30pm and the second egg has been rejected and is smashed on the ground under nest box of nest box 3 (north). Looks like a case of deja-vu. 9pm what a strange day. Two eggs out, two swifts back. Just as I hoped the high pressure system has brought home some more swifts. One of the swifts nesting under the roof tiles is back, but the one I was most worried about, the mate of nest box 1 (south) that has been missing for 17 days has just returned. So that makes 13 out of 16 back safely, maybe not such a bad day after-all. 10pm not quite as I first thought. It seems the single swift in nest box 3 (west) has moved boxes and has paired up with the single swift in nest box 1 (south). This is normal behaviour for swifts who are missing mates, however the only problem being that if the partner(s) of the original mate(s) finally turn up then a vicious fight will ensue. Total back now 12 out of 16. 7.30am all the swifts are still in at the moment so it’s difficult to see if any more eggs have been laid. I’m also getting a little concerned for the mate of nest box 1 (south) who is now 17 days overdue. However reports from other colonies across the country also say their swifts are well down on last years numbers. I have a feeling there is a hold-up somewhere on their migration route which is stopping these birds from returning. As there is a large high pressure system building from the Azores on Thursday I’m still hopeful it might blow a few more swifts our way. At the moment I’m still missing 5 swifts from last year, so if none turn up over the weekend then there is the strong possibility that they have been lost on migration. Annual mortality rates are around 10-20% so a colony like mine (16 swifts) one could expect 2 or 3 fatalities a year. Fingers crossed they’ll arrive back safely over the weekend. Second egg in nest box 3 (north). Dreadful morning, heavy rain followed by gusty north-westerlies, all 11 swifts stayed in their boxes until lunchtime an I don’t blame them either. Not much activity in the afternoon as they were too busy feeding, no screaming parties at all just one silent flyby of 3 swifts at 2pm. Second egg laid in nest box 2 (north) which is unusual as it’s only one day after the first one. Perhaps the first one was laid on the 15th and I failed to notice? Some other interesting behaviour, I think one of the swifts in nest box 5 (south) is a new mate this year. For the last 3 nights when they come home to roost it regularly goes into the wrong box. The other bird then has to come back out of the original box, call the “new mate” out of the wrong box and then fly back into the correct box with the newcomer in tow. First egg in nest box 2 (north). I normally expect the first egg about 10 days after the second bird has arrived and this one is spot on, the mate arrived on May 6th. The average clutch size is between 2 or 3 pure white eggs, laid at 2 day intervals. 4.30pm – just checked the camera in nest box 3 (north) and they also have their first egg (9 days after the mate returned). Apart from the egg laying today, not much other activity due to the blustery wind. No new arrivals today but a lot of activity from around 9am to 2pm. Screaming parties of between 6-8 swifts flying up to but veering away at the last moment several of the occupied boxes. I thought these might contain some new arrivals but when I checked my cameras at 9pm only the 11 from yesterday were in residence. I think the screaming flyby’s seen earlier in the day was only the birds already here re-establishing their nest sites, rather than newcomers looking for a site of their own. Just when I thought nothing would happen today a lone swift arrives at 8.30pm. It circles the house for a few minutes then buzzes a twin box on the north side. It lands briefly on the entrance outside nest box 1 (north) but immediately the pair next door in nest box 2 (north) hear this and respond. This frightens it for a second and it flies away only to return 5 minutes later. Another quick flyby and this time it’s straight in. It’s the return of one of a new pair that first took up home in nest box 1 (north) last year. They didn’t breed as they were too young, instead they spent all summer building a perfectly formed nest ready for this year. Any luck it won’t have to wait too long for it’s mate to return. Total back so far, 11 out of 16. Up early this morning as we have a freelance journalist, Ella Davies coming to visit. She’s interested in writing an article about Bristol swifts, so I’m hoping my swifts will put on a bit of a show when she’s here. 5pm, what a fantastic day. Our swifts didn’t disappoint Ella. Admittedly it was a slow start until about 10am, but after we’ve watched a continuous display from our birds. Every 20 minutes or so a screaming party whizzes right up to the nest boxes to reaffirm their own particular one. In-between these fly-bys they’ve also been returning with white feathers in their beaks. Sometimes the feathers are so big that they have trouble entering and misjudge the holes completely, bouncing back out to have another go. I’m not sure if we’ve had any new arrivals as there has been so much activity but when it settles down later I’ll check my cameras to see if any new birds have turned up. 11 pm, just arrived home after a couple of days in Devon, checked my cameras and 4 more swifts are back. The mate in nest box 5 (south), a pair in nest box 5 (north) and a single swift in nest box 3 (west). We visited a place called Branscombe in Devon, a small village in between Beer and Sidmouth. It is a mecca for house martins but also has a small colony of swifts (10) as well. In the middle of the village is a beautiful thatched pub, The Masons Arms, which is renowned for it’s good food and it is perfect for sitting outside and enjoying a fabulous meal whilst watching the swifts and martins performing right above you, just wonderful. Weather set fair tomorrow with light winds so hopefully a few more will arrive. Total so far, 10 out of 16. Surprisingly there were no further arrivals to the colony over the weekend despite seeing a screaming party of 15 on Saturday. We still stuck on 6 out of 16, however there is a bit of activity this morning around nest box 5 (south) which might just be the returning mate. No new arrivals yesterday but things have improved today. The weather has warmed up slightly albeit it’s still quite windy. However the swifts in nest box 2 and 3 north and nest box 5 (south) have taken full advantage of it and have been bringing in white feathers all afternoon. I also saw a screaming party of at least 15 over Sea Mills about 1/2 mile away. Still only 5 back when I checked the cameras this morning at 6.30am. 5pm I have just seen at least 10 screamers, high over the house, I think we may have another 1 or 2 coming home tonight. 7pm I’ve just checked the cameras at and I was right, the mate of nest box 3 (north) has returned. Fingers crossed 1 or 2 others might still be out there, I’ll check the cameras at dusk. Well as I thought, at 8.50pm a lone swift tried to enter nest box 2 (north) which was already occupied an was given short strife by the two residents inside. It disappeared into the night sky and didn’t return. My guess it’s one of the new pair that took over nest box 1 (north) last year and got confused about which box it was. I reckon it will be back tomorrow to try again, hopefully it’ll find the right box this time. Weather forecast for Sunday to Tuesday looking very good, so I’m hoping the remainder will arrive then. Total so far 6 out of 16. Another swift arrives early this morning. Just checked the cameras at 6.30am and it was there. It’s the mate of the swift in nest box 2 (north) who arrived a couple of days ago. Total back so far, 5 out of 16. Very windy and wet today, perfect swift weather to see them around the lakes. Just as we thought thousands of swifts feeding over the picnic area at Chew Valley – see our video – what a sight! Back home 1 more swift returns despite the weather and enters nest box 5 (south). Total so far, 4 out of 16. Another wet and windy day forcast for Wednesday but after that a small ridge of high pressure building for Thursday – could be a very good day to see some more arrivals. 2 more swifts back tonight, arriving just before the rain set in at 7.45pm. 1 in nest box 2 (north) and the other in nest box 3 (north). Total so far 3 out of 16. Our swift has had a bit of a lie-in this morning and has only just left the box at 10.00am. On the plus side the wind has gone around to the south-west so I’m expecting more to arrive at any moment. They’re back! Our first swift returns home at 8.10pm – only 15 more to come. It did one quick fly-by before entering nest box 1 (south) on it’s first attempt. Not a bad effort considering its been on the wing for the last 9 months! Just checked the nest camera and it’s quietly preening itself as it settles down for the night.